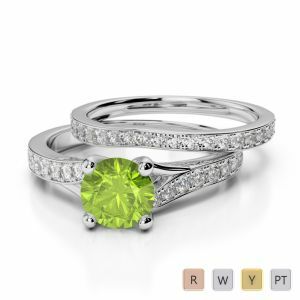 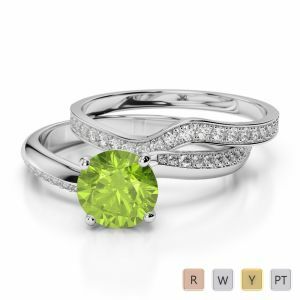 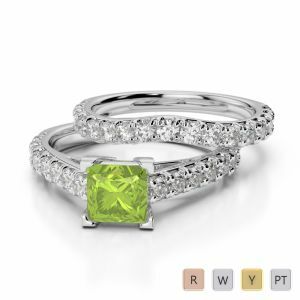 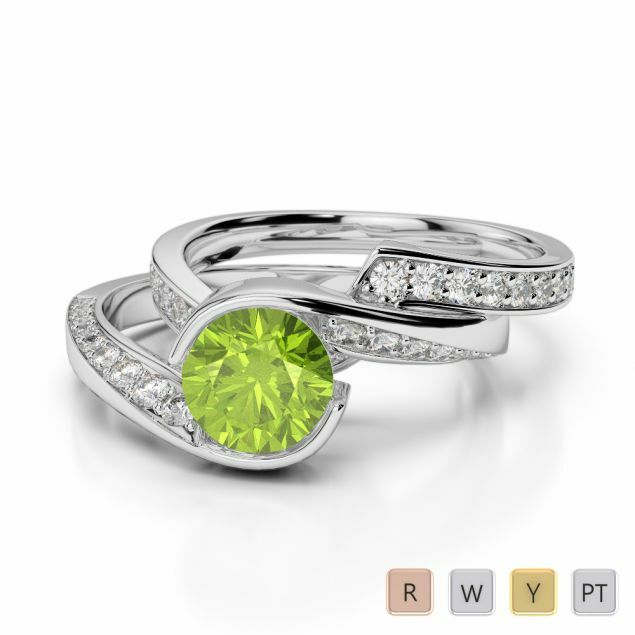 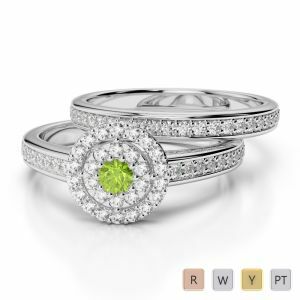 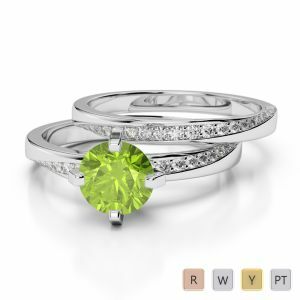 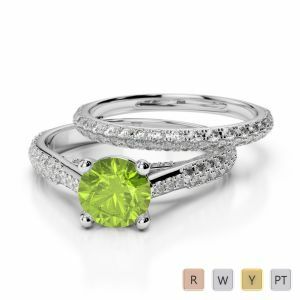 Astonish her with a serene apple green peridot on your 16th anniversary. 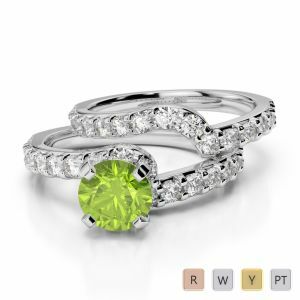 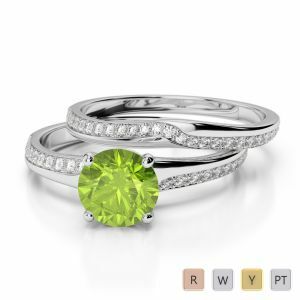 Better still, replace the old gemstone on her wedding band with this lovely bridal set ring and take your vows anew in August in keeping with the birth month of Peridot. 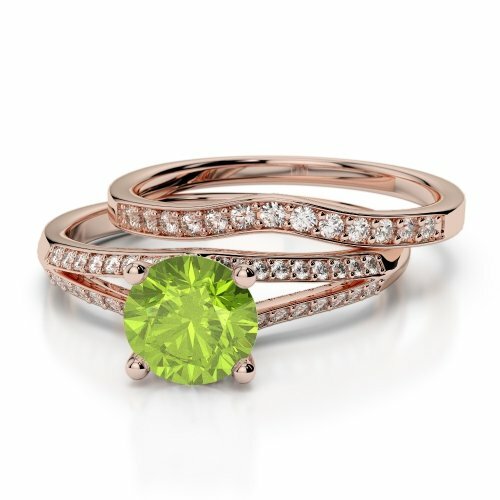 This beautiful ring where two rings meet in a peridot is sure to blow her away. 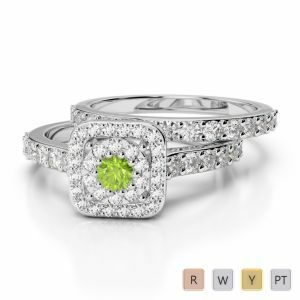 The tiny glittering diamonds on the bands makes the green gem even more eye catching. 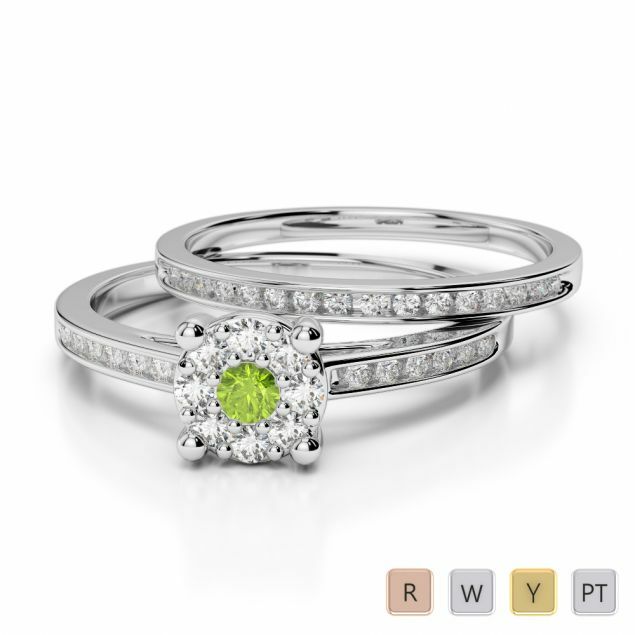 Feel free to choose between rose, yellow or white gold as the base metal. 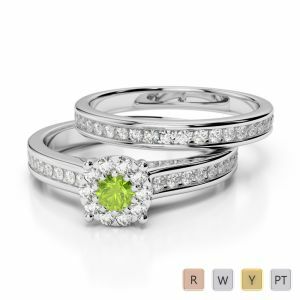 You can even afford to be a bit more generous by opting for a platinum ring this time.